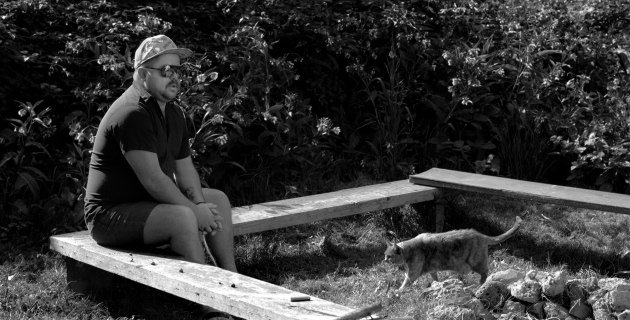 Castanets singer-songwriter Ray Raposa hasn’t been gone long. It was just two years ago that Raposa’s new band, Raymond Byron and the White Freighter, came out with their shaggy, rocking debut LP. 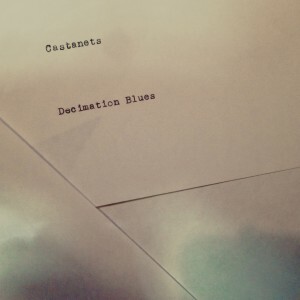 But as he returns to the helm of his solo project for the first Castanets recording since 2009, Decimation Blues, it sounds like a silence being broken. And Decimation Blues, out this summer on Asthmatic Kitty Records, communicates as much through silence, through what goes musically or lyrically unsaid, as it does through words and music. The arrangements are sparse, and the performances, especially the rich patina of Raposa’s own singing voice, are laid nearly bare. But it’s the sorrow in the grain of that voice that makes the warmth of his melodies that much more consoling—in the same way that the joy his songs find in moments of basic human connection so often seems to imply the end of a deep, unspoken loneliness.